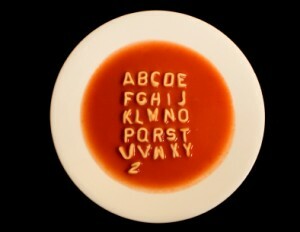 Real Estate Designations - Making Sense of the Alphabet Soup! What are real estate designations, and how are they important? In an effort to distinguish themselves from the pack, many real estate agents list an incredible array of initials after their names. You may see abbreviations such as ABR, CRS, GRI, SRES, or RSPS. At last count, the National Association of Realtors listed over twenty such designations on their website. Huh? What does all that mean? Obtaining a real estate salesman’s license is similar to taking a college semester in contract law. The Texas Real Estate Commission specifies that a real estate salesman must master certain core real estate classes. Topics include contracts, real estate finance, deeds, liens, appraisals, fiduciary duties, ethics, deceptive trade practices, discrimination, statute of fraud, and conveyance of title, among others. A salesman cannot work independently – he must “hang” his license under a cooperating broker, who is responsible for his work. And he must be fingerprinted and background-checked. Obtaining a real estate broker’s license is more intensive. A broker must have worked actively as a licensed real estate salesperson for several years. In addition, he must complete more extensive core classes plus additional related courses that are acceptable to the Commission. This class work is the equivalent of a college degree with a major in contract law. Clearly, this designation requires serious commitment. National statistics agree – the average real estate broker performs at a significantly higher level than the average real estate salesmen. Once the license (either salesman or broker) is in hand, it must be updated regularly with additional coursework in law and ethics every year. And that is often where those initials and abbreviations come in. They fill the requirements for continuing education. But be aware that not all real estate designations are equal. Some require hard work and commitment – others are a class, a fee, and a networking group. Most importantly, just because you list yourself as a specialist in senior living, luxury homes, or short sales doesn’t necessarily mean you have actually ever sold one of those properties. It just means you have completed the course. So remain vigilant and ask questions. Explaining those abbreviations (and making sure they are backed by real-world experience) can be a great interview question in your search for a real estate professional. As for me, I’ve been taking these update classes for over thirty years now. I guess that puts me in the fifty-second grade. There is no way that will all fit on my business card!